Today I am showing off reviewing another MAC fluidline, which was a part of Shop MAC Cook MAC collection and my haul (shown here). Love the name of the collection. 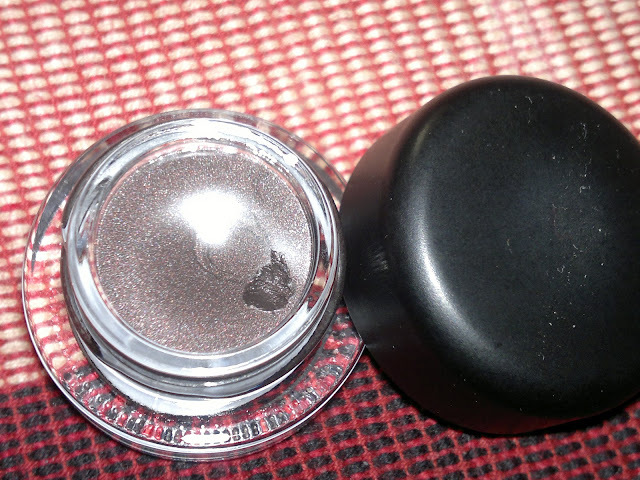 MAC describes the color as blackened mauve and to me it looks like a mixture of brown, black as well as grey with some golden flecks in between. Price: INR 1000 for 3 gm of the product. 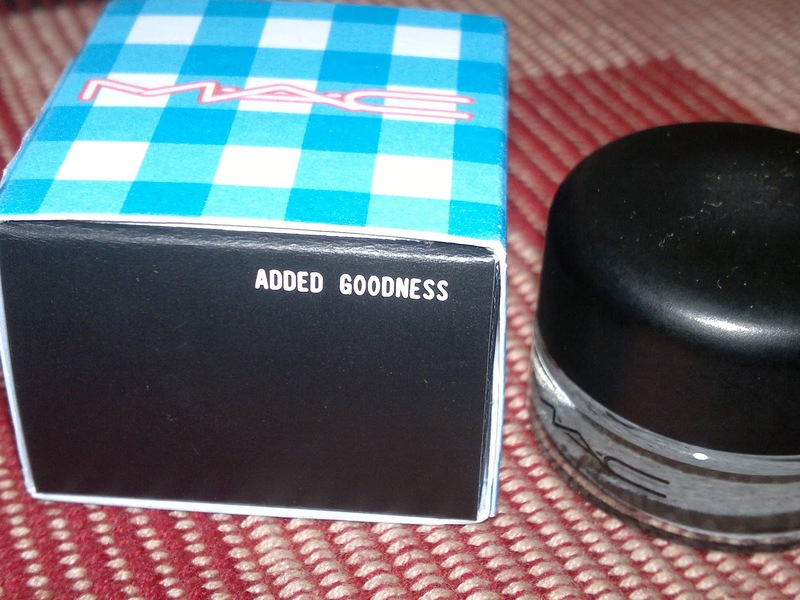 Packaging is standard MAC fluidline packaging with the product in a heavy glass jar with a screw able black lid. The texture and pigmentation of this fluidline is quiet awesome and I love the softness and sophistication it offers to the eyes. 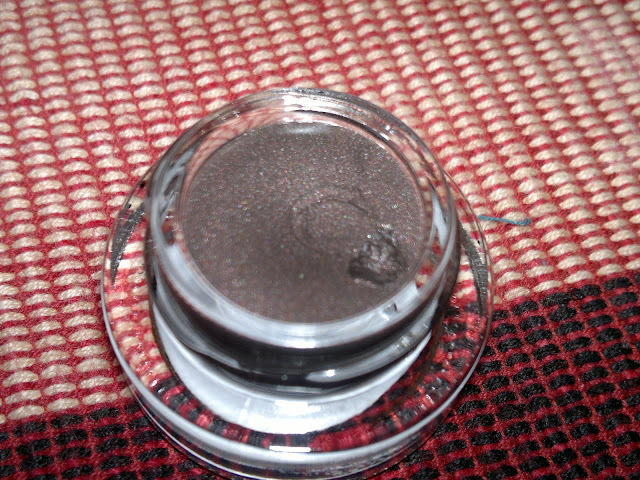 I have been on the lookout for a nice black/brown eyeshadow with really nice pigmentation and Added Goodness has been all that to me. 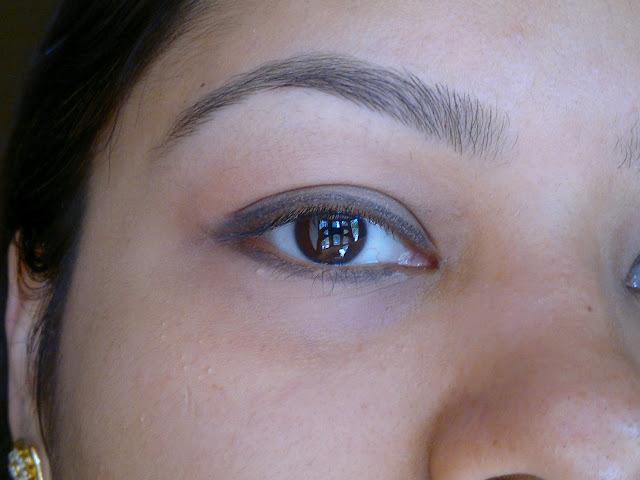 As you can see from the pictures, though the fluidline has shimmer, still it is not OTT and looks much softer in person and that makes it perfectly wearable day in and out. 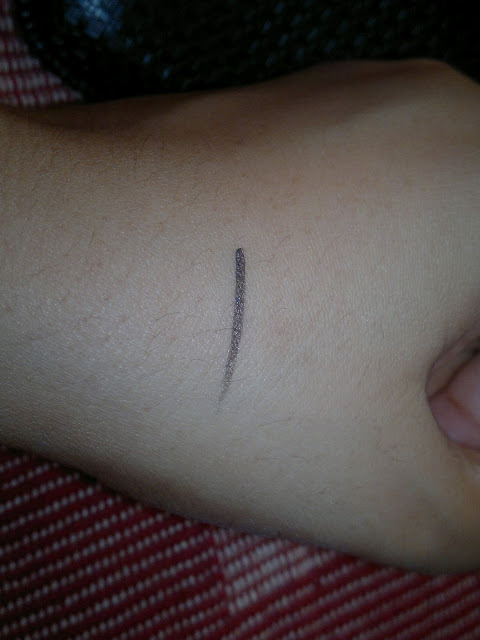 Application wise, just as smooth as my other fluidline (Waveline, review here), these fluidlines have become my go to eyeliners these days over my favorite pencil eyeliners. 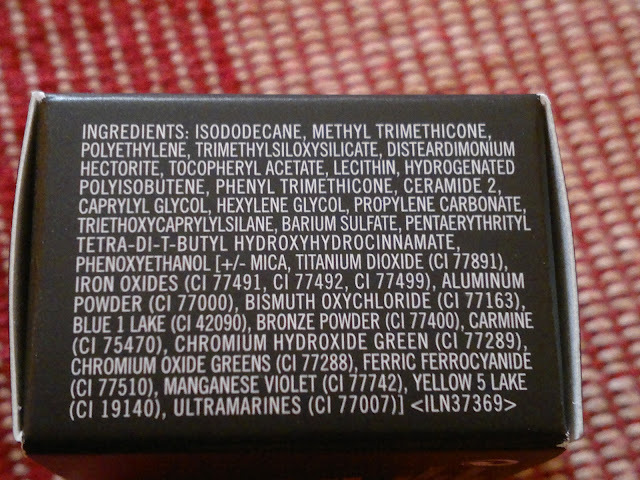 As for the wear time, even without a primer or base, they last on my lids for the whole day and remove just as easily at night with my H2O+ makeup remover. Product rating: A, would recommend this shade to everyone looking for a sophisticated eyeliner shade, it’s black, it’s brown and it’s grey, above all it has too much goodness. nice color and very wearable..